Marble Land, Devious Technologies‘ first project, is a physics-based VR puzzle game in which the purpose is to send a marble on the correct path by aranging multiple devices in the correct configuration. Marble Land offers a great VR experience for most VR hardware available on the market, like the affordable GearVR from Samsung up to the complete experience offered by HTC’s Vive but no forgetting the latest PlayStationVR or Google Daydream. 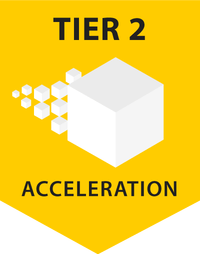 Devious Technologies decided to join the Acceleration Tier program offered by Carbon with Marble Land. We welcome Devious aboard and we can’t wait to play their game which is due to be released in the second half of 2017. Until then, you can enjoy a sneak peek at the Marble Land Prototype Gameplay. Devious Technologies is an independent game development studio founded in 2016 in Bucharest. The Studio’s main focus is the development of virtual reality games and applications, in collaboration with other local and international indie developers.